Face Smash is a game where your face is all you need to play. Through the front-facing camera of your Android device, the facial expressions of the player are recognized and become an integral part of the game itself, bringing the player to a level so far unknown. The technologies behind Face Smash are certainly innovative, but the game manages to make the player’s interaction with them natural and immediate. In addition, for all those who find it difficult to play the first few times, Face Smash offers a special Training Area which allows players to improve their skills and become a professional Smasher. The aim of the game is to mimic the emojis that, from time to time, appear on screen. To do this, users simply have to smile or make an angry face and much more. For each successful smash, you get points, while you lose them every time you drop an emoji into the void. Some items you can touch will temporarily help the player, for example by slowing down the time or doubling the points for a smash. Every match is also recorded on the fly. Users can easily share their funny videos on social networks with the hashtag #facesmashchallenge to join the community of players. So, what are you waiting for? Free your face, play Face Smash. Playing Face Smash is very simple. There are two types of interactions available to users: Touch and Facial Expressions. 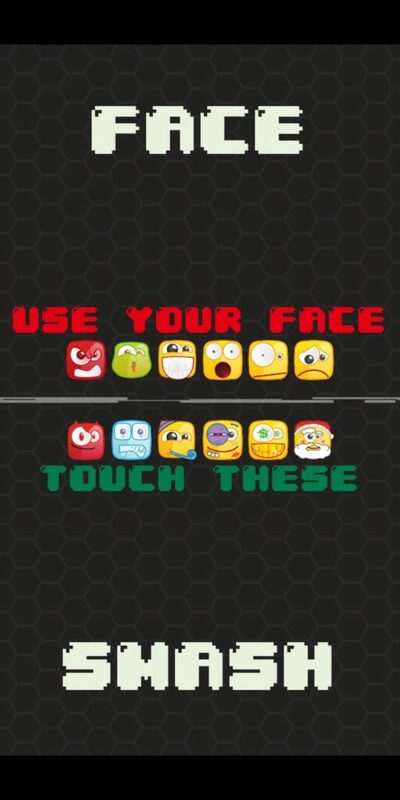 These are dedicated to the two different types of emojis that will appear on the screen. Facial expressions (smile, amazement and so on) are used to collect the largest number of smashes. For example, whenever a smiling or sad emoji appears on screen, users will try to mimic the same expression while looking at the camera, in an attempt to make as many smashes as possible. The items (or upgrades) are also emojis but with particular traits. For example, an emoji with dollars instead of the eyes will double the score obtained by the next smash, while the emoji symbol by Face Smash (the one with a swollen eye) will explode all the other emojis on screen, delivering more points to the user. When it comes to items, the user cannot only rely on his or her own facial expressions. Instead, the user will have to resort to the more classic touch gestures in order to be able to catch items on the fly before they disappear. Nothing could be simpler. Finally, Face Smash also offers a section where users can train to mimic the emojis that cause them the most difficulty. Because we care about our Smashers. If not a unique game, what makes Face Smash at least rare? Surely this innovative input system combined with this type of fast-paced gameplay. The fun videos that users can share after each game are another one of the things that make it worth playing, allowing users to create a community outside the application. 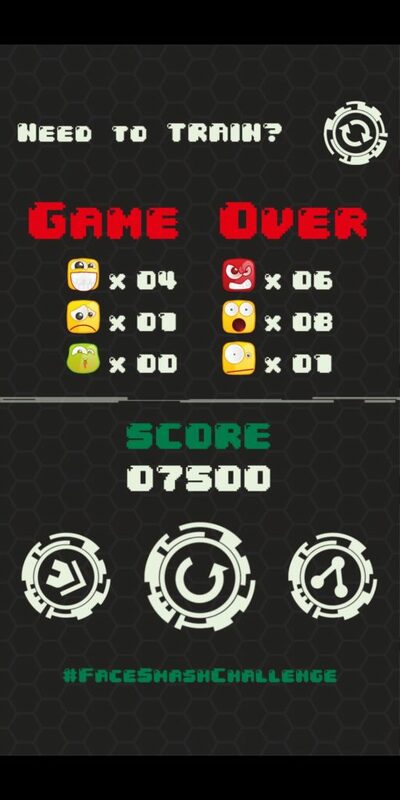 There are games that resemble Face Smash as a game (an example is Fruit Ninja, a game that inspired us initially). However, none of these went beyond the more classic touch in terms of interaction. There are already games that exploit the camera and the analysis of the face (an example is Face Dance, which was very popular about a year ago). However, they often present problems on high-end devices and unfortunately you cannot even play them on the vast majority of less powerful devices. 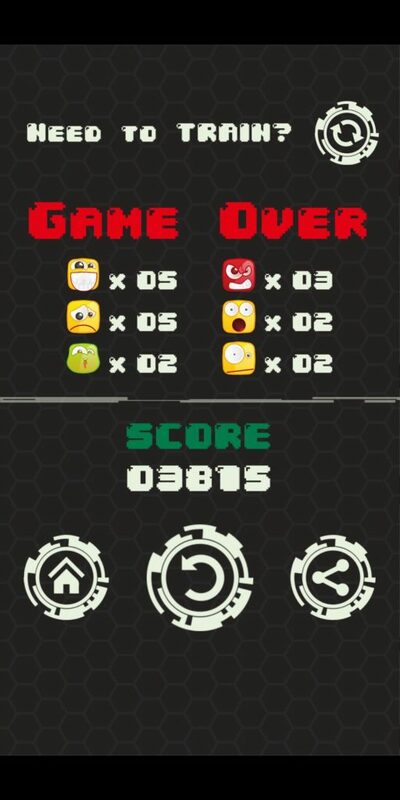 In Face Smash, we tried to keep performance to a maximum, reduce battery consumption and make a funny game that is usable on a wide range of devices, and we think we have made it. Now there is something to be done on the graphic sector and on the longevity of the game. We are currently developing some mini-games that we will give to loyal players who reach the right amount of smashes. Stay tuned! We aren’t really a game studio, unfortunately. The dream of transforming this commitment into a full-time job obviously remains, but for now, we are content to have fun in our free time doing what we like for others. Let’s see what the future holds for us. Follow Gamee Italy on Twitter and Instagram for insight on future releases! This article was Published by Edamame Reviews, Written by Gamee Italy.